I am a MovNat Practitioner and Coach, but I didn’t start out that way. My journey began on a yoga mat more than six years ago where I hoped to reverse the tremendously negative physical impact that competitive bodybuilding had placed on me. It is working. I needed something, or my adult life was going to be a mess. What I didn’t know was that I was embarking on a movement odyssey that would lead me to study with some of the best movement schools and teachers anyone could ever ask, or hope, for. Through the years, yoga and the study of many different disciplines brought me to this morning. I went for a run on the grass on a local Riverside path wearing Five Finger minimal shoes, running efficiently and with little effort as I felt the Earth’s amazing shape beneath my feet. My movement quality has gone from horrendous to acceptable as I practice various movement techniques and refine them into solid movement skills that are adaptable to real world situations. I run on the grass for many reasons. One is that it is much less crowded on the path less taken. Another is that it is simply better to move beyond flat, stable ground, allowing our feet to move as they are designed to, so that our foundation is solid from the ground up. This foundation, for me, has been remodeled and rebuilt patiently by transitioning to a minimalist based shoe and learning more efficient walking and running techniques. By patient I mean several YEARS! Do not go buy a pair of minimalist running shoes and plan to run a 5-K the next day! Our bodies don’t work that way. Take time to understand the process, enjoy the transitions and get some coaching to make learning new skills fun. My run this morning was by no means a thing of beauty, but it sparked creativity and a feeling of purpose. My mind began seeing options out of obstacles in my path. I began crawling on an uphill slope, inverted crawling down, split leg jumps over crevices in the terrain came smoothly and before I knew it I was playfully in the midst of a Natural Movement combo. Multiple skills were being put together to increase complexity and challenge physical competence. Throughout my run, I couldn’t help but notice the concrete path runners in my periphery in their super cushy shoes that housed their feet, protecting them from true movement and away from any real contact with the ground underneath them. They ran, following a path, in shoes that restricted movement and feeling. I ran, having a blast on my own path, letting my imagination run wild with my body, as my feet strengthened and became more mobile and receptive with every step. Mindfulness in action. Today, I paid attention to the Earth’s surface, dampness of the grass, cool in the air and perhaps most importantly, the way my physical body responded to all the internal and external cues of the world around me. Six years ago I knew I needed something, or my adult life was going to be a mess. What I didn’t know was that I was embarking on a movement odyssey that would lead me to study with some of the best movement schools and teachers anyone could ever ask, or hope, for. Standing on the shoulders of giants, I have learned, studied, practiced and voraciously read everything I could find on movement. The path that began on a yoga mat over six years ago has evolved into one of natural movement. Today I am a MovNat Coach and Natural Movement Practitioner. The journey continues. 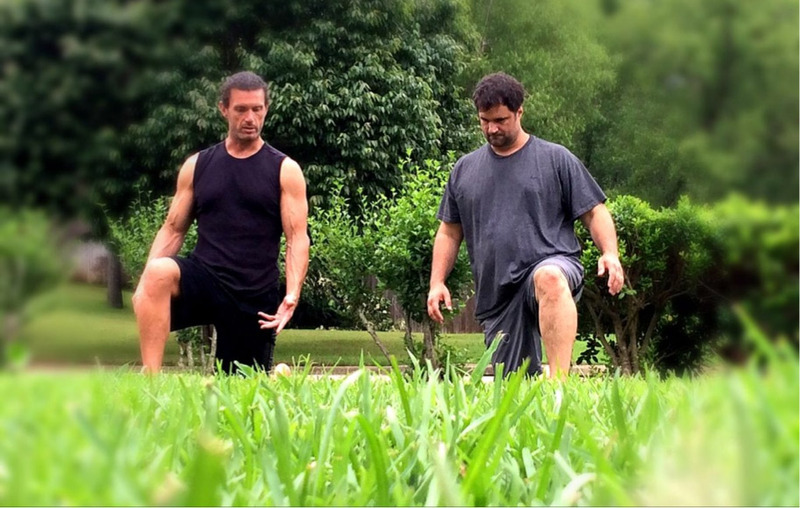 I’m a fan of natural movement and have trained with functional movement coaches for several years. I believe there is something that awakens in human beings when they challenge their physical bodies to move within natural settings. I actually just read a great article by Danny Clark from Breaking Muscle detailing a complete scope of what human performance and health encompasses. Once thing that overlaps with the MovNat philosophy is ‘perceptual motor development,’ in that our bodies and minds are pliable, but we rarely activate our innate abilities to adapt to scenarios nature throws at us. I enjoyed reading your story and hope you continue your path of success!